One of the hardest choices I had to make when I had my first child was what mattress to get for my son's crib. There ARE SO MANY CHOICES OUT THERE and I was completely lost being a new mother! After doing a lot of research, I found that I wanted a crib mattress that was really safe for my child, which means that it needed to be made without chemicals or allergens. I then started looking for mattresses that were made without harmful polyurethane foam, vinyl/PVC, and other harmful ingredients! The only problem came when I started looking at the price tags of some of these safe and organic crib mattresses. It just wasn't in our budget in the time (as sad as it made me!). I ended up settling for a safe mattress but definitely not the one I wanted to get. 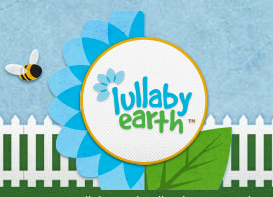 I recently learned about the new Lullaby Earth crib mattresses and I sure wish they were around during my search a couple years ago! This mattress meets all of the criteria I was looking for (and still am looking for with my daughter's crib mattress!) and was affordable at the same time!! I am so excited to share it with you today! 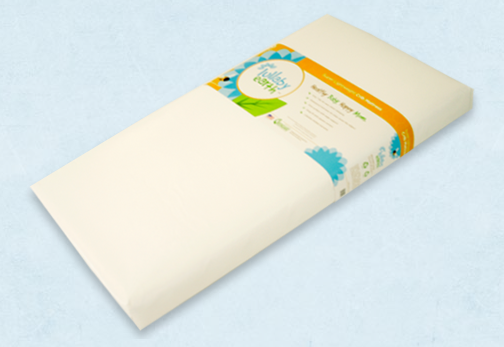 What I love best about the Lullaby Earth mattress is their unmatched safety certifications: They are certified by the GREENGUARD Environmental Institute to its "Children & Schools" standard as well as to its "Select" standard, GREENGUARD'S most stringent standard for both home and healthcare environments. It is also recommended by Healthy Child Healthy World, a national children's advocacy coalition promoting healthier children's products! The certifications and all the ingredients they are FREE of is so important to me!